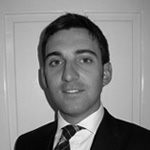 William Hillier is a member of the Family and Civil teams. In financial relief cases William’s practice ranges from representing clients with substantial assets, including property outside of the jurisdiction, pension funds and business assets, to those with very modest incomes where the family home is in negative equity. He represents clients at all stages of proceedings from first direction appointments and maintenance pending suit applications through to final hearings and the enforcement and variation of orders. He also represents clients in injunctive proceedings to prevent the dissipation of matrimonial assets. William’s work in family finance cases also includes disputes between cohabiting couples (TOLATA) and claims for financial provision for children under Schedule 1 of the Children Act 1989. William recognizes that litigation can be extremely stressful for his clients and aims to give clear advice in respect of likely outcomes and the court process at an early stage in proceedings. In addition William is also regularly instructed in both public and private law Children Act work. Recent residence and contact disputes have included issues of paternity, domestic violence, relocation and removal from the jurisdiction. In public law cases he regularly represents local authorities, parents, the children’s guardian and grandparents, in cases involving non-accidental injuries, physical and sexual abuse, serious neglect and mental health issues. William is also instructed in applications for non-molestation and occupation orders under the Family Law Act 1996 and anti social behaviour injunctions under the Housing Act 1996. His civil practice also comprises all aspects of property law, including landlord and tenant, boundary disputes, easements and mortgage possession, personal injury claims, in particular credit hire and low velocity impact cases, Consumer Credit Act work, bankruptcy and general civil litigation. William frequently appears in Courts throughout the Midlands and beyond and is happy to travel to meet with clients at a time that is convenient to them. He is also specially trained to accept instructions directly from clients on a direct access basis.